Boston is a city rich in history, culture, and natural beauty. Sources of entertainment are seemingly limitless in Boston, but seniors do often face limitations when it comes to being active and exploring, such as low stamina and difficulties with mobility. Despite this, however, there are numerous senior-friendly activities in the city which are suitable for both visitors and longtime residents. In this post, you'll find a list of activities that you can partake in with your senior parents, many of which are accessible. 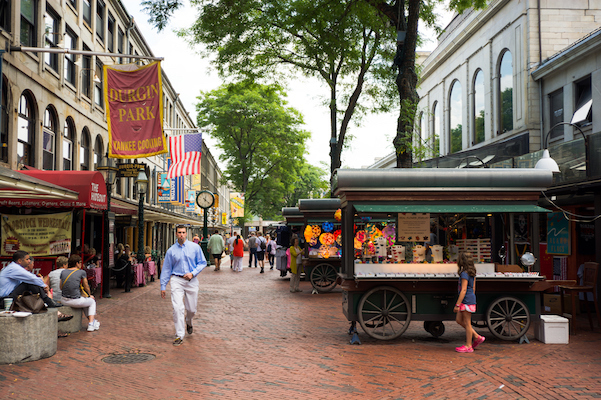 Find an activity that suits your parent's interests and enjoy a family outing in "Beantown." With over 500,000 works of art, the Museum of Fine Arts has something to interest everyone in your family. A list of its current exhibits can be found here. The MFA is a great destination in any season, since you’ll be inside and sheltered from the snow or sun. The museum has seating throughout its galleries, and you can also borrow lightweight stools to carry with you. Your family can take a leisurely walk through the exhibits, pausing for breaks whenever necessary. There are also five different dining options available in the museum. The MFA is a highly accessible space. Your parent can visit in their own wheelchair or scooter, and wheelchairs are also available to check out onsite. The museum has assisted listening devices, text transcripts, and guides in American Sign Language, as well as large-print maps and audio transcripts for those who have vision impairments. 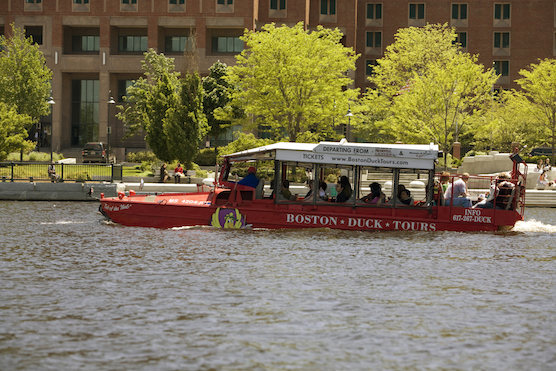 Enjoy an 80-minute tour of Boston via both land and water in a World War II-style DUCK vehicle. There are two tour options which visit a variety of historical sites, interesting neighborhoods, and popular landmarks. The tours are a great way to see the sights without having to spend too much time on your feet. Duck Tours aren't just for visitors - they're also fun for locals, who will see their city from a new perspective aboard the vehicle and have the chance to observe the skyline from the water. Duck Tours are accessible. Each vehicle can fit two wheelchairs on board. The aquarium is a great place to bring your senior parents or your whole family, grandchildren included. In its exhibits, you'll see sharks, jellyfish, penguins, octopuses, and many more aquatic creatures. The aquarium also screens several IMAX films about marine life and facilitates a whale watching trip through the Stellwagen Bank Marine Sanctuary. Like the MFA, the aquarium is a great place to visit at any time of year, since it's an indoor, climate-controlled environment. The building is fully wheelchair accessible and many exhibits can be viewed at floor level. The IMAX theatre has eight spaces in which wheelchairs can be parked. The home that Paul Revere and his family lived in is Boston’s oldest building and a great tourist destination, as well as a point of interest for those who enjoy historical landmarks. Step into the house and back in time and have fun exploring with your senior parent(s). The inside of the home is decorated as it would have been at the time the Reveres lived in it and outfitted with numerous pieces of the family’s original furniture. Tours of the house are self-guided, so you can feel free to take your time. You can also take a guided tour of the neighboring Pierce-Hichborn house, another historic building, which was once home to controversial Puritans Anne and William Hutchinson. Both floors of the Paul Revere House and the first floor of the Pierce-Hichborn house are fully wheelchair accessible. Today, in addition to being a site with historical significance, it’s a place where you and your parent(s) can partake in an assortment of activities as you stroll along cobblestone paths. The marketplace is home to over 100 retailers, including both popular stores and local artisans’ shops which make for great souvenir shopping. You can pause to watch entertainment from street performers, or you can attend one of the events in the market’s calendar, such as their hour-long history tour. There are also many restaurants where you can enjoy a coffee break or a full meal. Even if your senior parent struggles a bit with mobility, Faneuil Hall Marketplace is a great place to sit, enjoy food and drink, and people watch while you spend some quality time together. As long as your parents aren’t afraid of heights, head 700 feet above the ground for an incredible, 360 degree view of the city. Visit the observatory around sunset for a particularly amazing view. In addition to offering a bird’s eye view of Boston, the observatory is home to the Dreams of Freedom Museum, which features exhibits showcasing Boston’s rich history of immigration. There is also a movie theatre that screens two films, “Wings Over Boston” and “Dreams of Freedom,” which showcase, respectively, modern-day Boston and the city’s history. After enjoying the view at the observatory, you and your parents can sit down and watch these films to to get further acquainted with the city, both past and present. These screenings will also allow your parents to sit down, rest, and relax for a period of time if they tire easily. The Skywalk Observatory does host events, so it is not always open to the public. It’s a good idea to call ahead to make sure you and your parents will be able to visit the observatory. America’s oldest restaurant and a national historic landmark, Union Oyster House is a wonderful place to enjoy some delicious food while simultaneously taking in the history of the establishment, which over time has been a favorite haunt of many, including revolutionaries’ wives in the 1770s and the Kennedys. The restaurant is open for both lunch and dinner and serves a wide variety of seafood as well as a few meat options. It is located one block from Faneuil Hall, so you can easily complete a day of shopping with a meal at Union Oyster House. Reservations can be made on the restaurant’s website. Regardless of whether your elderly parents are locals or visitors, Boston’s numerous trails are great locations for both exercise and exploration. The Freedom Trail, which is 2.5 miles long and lined by 16 historical sites, is the city’s most popular trail, but you can also explore the Irish Heritage Trail, the Black Heritage Trail, and the Women’s Heritage Trail. If you prefer nature to history, walk along a section of the Emerald Necklace, which not only connects six different parks, but also features basketball and tennis courts, places to fish, a golf course, and much more. If your parent doesn’t have the mobility to manage a trail walk, or bad weather prevents you from exploring outdoors, try an indoor activity instead. For your older loved ones who live in Boston or are visiting the area for an extended period, there are 13 YMCA locations in Boston. The YMCA has several exercise programs geared toward older adults. If your senior parent struggles with mobility, they can try chair yoga, which is gaining popularity with the city’s senior community. Access Recreation Boston sometimes offers classes, and chair yoga classes are available at various yoga studios, such as TriYoga Boston. If this class won’t work for your elderly loved one, chances are you’ll be able to find a chair yoga class in their area that meets their needs. Some chair yoga classes are designed primarily for people who use wheelchairs, while others are geared towards those who cannot stand for long periods of time. Most physical activities that interest your parent will likely be activities you can participate in with them. Doing so will allow you to spend some quality time together, and exercise is always beneficial, even if it’s low impact. Yoga, in particular, is good for both the mind and body. Take a quick drive to Somerville to tour the Taza Chocolate Factory. The tour is a manageable 45 minutes in length, the factory is wheelchair accessible, and seating is available. 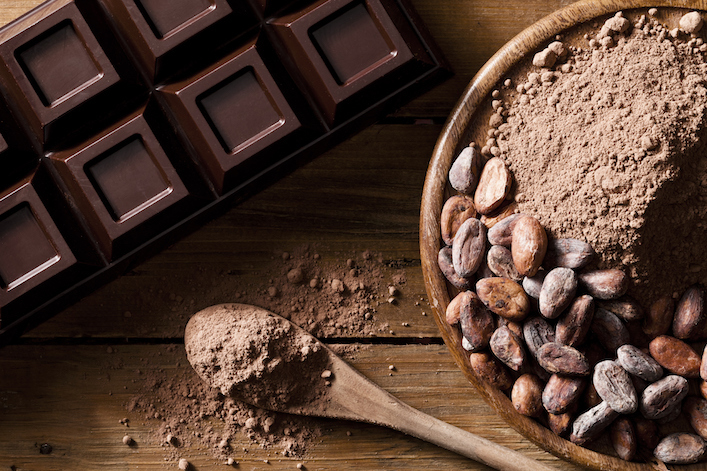 Take your parents to learn about the chocolate-making process and sample the final results! Reservations are required for the tour, so be sure to make one before you go. The company advises making a reservation at least one week in advance. If your parents are baseball fans, head to Fenway Park. You can book tickets for a Red Sox game here, but for a more unique experience, take a tour of the park. Tours last 50 minutes to one hour and are accessible. You can take your parents on the standard tour, or go for a Game Day Premium Tour, which allows you to enter the ballpark before the general public, meet the mascot, and take photos on the park’s warning track. If you believe the tour might pose some difficulties for your parents, you can still provide them with a special experience by taking them to watch the game at the Bleacher Bar, located beneath the park’s bleachers to provide a direct, ground-level view into the park. The bar doesn’t take reservations, so you’ll probably want to arrive early if you want to go during a game. The Bleacher Bar serves both lunch and dinner, and is open seven days a week. The activities in this post are suitable for tourists and lifelong Bostonians alike. While there are many more activities available in Boston, these options are accessible and can be modified as necessary to suit your parent's needs when it comes to their physical mobility and stamina. Almost all of these activities are appropriate for the whole family, so you can easily include your children or invite other relatives. These activities can provide entertainment, delicious meals, and insight into history as you enjoy memorable moments in Boston with your elderly loved one. Older PostLive-In, Overnight, and Hourly Cases for Caregivers: What's the Difference?